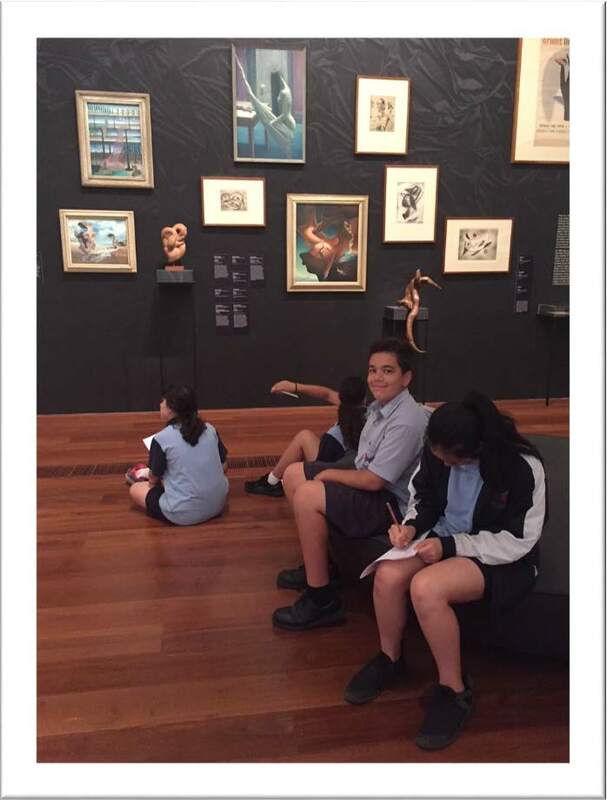 On Wednesday, February 7, the Year 9 students ventured on an excursion to the National Gallery of Victoria (NGV) and took part in the Koorie Heritage Trust Indigenous walk, to learn more aboutT Aboriginal Indigenous cultures and Australian identity. Students discovered an innumerable amount of Australia’s rich Indigenous history, linking the past to modern day Melbourne. We explored the common and well-known streets of Melbourne’s CBD with a new perspective. To continue our topic on Australian identity, we were challenged to look beyond the concrete buildings, and investigate thousands of years of history. The city became more to us than just the modern architecture that stood tall. The site the sacred sites where generations of Indigenous Australians had once called home, where they lived off of the land and its natural resources. With the assistance of our tour guide, Dean Stewart, we learned about the development of Melbourne. We had the opportunity to visit and stand on some of the many sacred Indigenous sights and discuss the importance of not only remembering them but also conserving these places. We learnt about the discovery of Australia and the naming of our many well-known monuments and suburbs throughout Melbourne. We discussed the lives of Indigenous people and how they differ from our own and their traditions which define them as Indigenous. Exploring Indigenous culture further, we attended the ‘National Gallery of Victoria’ where we viewed exhibitions of Indigenous art and learned about the individual meanings of each piece. Comparing traditional and modern works. The Year 9 excursion was a success and contributed a lot of new information to Australian Identity. Our students thoroughly enjoyed the day; walking through Southbank and along the Yarra River, to see how unique and sacred this place really is, as well as learning how we can all contribute to preserving and acknowledging our rich Australian identity.